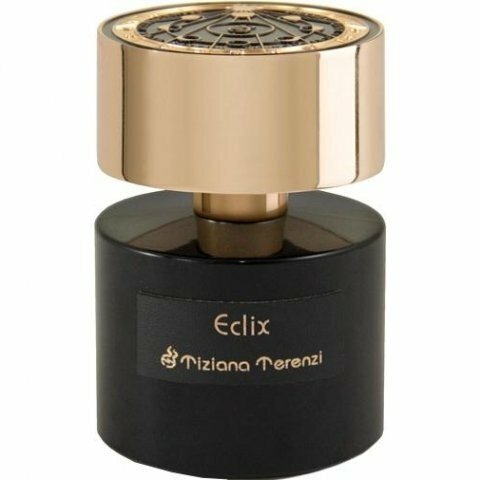 Eclix is a popular perfume by Tiziana Terenzi for women and men and was released in 2017. The scent is floral-powdery. The longevity is above-average. It is being marketed by Cereria Terenzi Evelino. I live in London and went down to Harrods to try perfumes and oh boy! Eclix is absolutely divine. I love iris and its very long lasting. I feel enveloped in gorgeous soft woollen material and can't get enough of it. 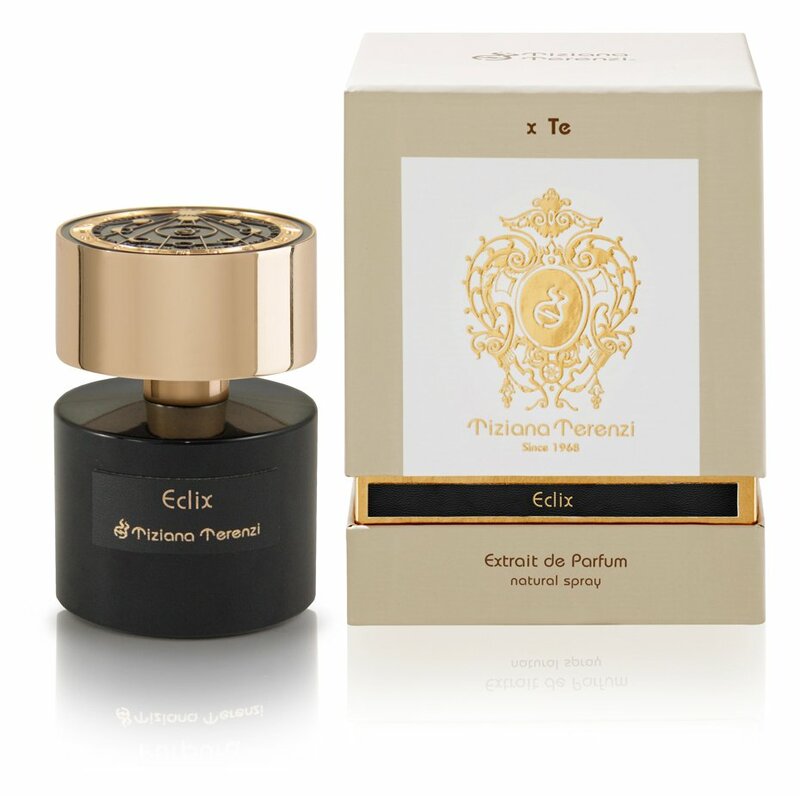 I have ordered this perfume from amazon uk from company called 'leslilasperfumes' with awesome prices. I bought for £138 and it retails for £250. That's a bargain! This is another perfume (the other being ~Ibitira~ by Xerjoff) that is based primarily, to my perception anyway, on a synergy of musk & orris. These two elementary perfumery substances seem to my mind to exist specifically to be put together. If you were to force me to name a single accord of which I could have no perfume other than for evermore, it would be that one. I remember at one of the apothecarial houses I am wont to visit, I was looking through perfumes of more standard price-brackett. I had been particularly successful in that I had found a couple of outstanders value-for-minlet-wise. I began to think "I don't know why I bother with high-end 'fumes". On the way out, beginning to translate my just-had schooling into a plan for an acquisition, I passed the Tiziana Terenzi stall. I thought "ah! there's Eclix - I sampled that briefly once before, & seem to remember liking it: let's have another try!". I did indeed so, and ... "now I remember why I ^do^ sometimes bother with these high-end 'fumes!" Weird thing is, if I were to name a figure that is the one that instantly comes to mind when I intraspire of either of these 'fumes, it is ... rubber party balloons!! But this only goes-to-show the weirdness of colaterallity of aromata. Some for instance say the smell of oud is like that of burnt rubber. It brings into question what precisely it is one means when one says something smells °like° something else. It is a very deep question; and this is not the place for uttermost searching-out of it: but I will venture this much - that it is ^not^ like, say, two points on a plain being literally ^close^ to each other. Nay! it is very different fræ that! This one is however different fræ ~Ibitira~ in that being heavy it is heavy. It's heavy in the sense that it ^feels^ wearing it like one has got a ^heavy^ thing on, like a heavy gold chain, or something. Ibitira is certainly not lacking in substance; but it kind-of feels as though one is not ^bearing^ the weight of it: its kind-of like the heavy thick door of a bank-vault on exquisitely engineered & thoroughly-oiled hinges.